Property taxes are generally a huge consideration for homebuyers. In Indianapolis, and the State of Indiana, property taxes are set at 1% of gross assessed value for owner occupied properties. This isn’t the price you pay for the home, it is the value the assessor has placed on the home. If you plan on living in the home, you will pay 1% of that assessed value. Assessor’s don’t actually visit every home they assess, so the value may be more or less than the price you pay and the assessed value is subject to change. Non owner occupied homes are taxed at 2% of the gross assessed value. In Indiana, you must file a Homestead Exemption to qualify for owner occupied status. Even if you plan on living in the home, the previous owner may not have had their Homestead Exemptions filed or the home could be currently owned by a bank and therefore, lost the Homestead Exemption the property may have had. This difference can greatly increase both the upfront costs and the monthly cost of buying a home and can often affect your ability to qualify for a loan. A home priced at $100,000.00 would incur taxes of approximately $1000.00 a year or about $84.00 a month. With no exemptions filed, it would be double that amount. The same scenario on a home priced at $200,000 would cost you an additional $168.00 a month.You must qualify for your loan at the current certified tax amount. If there are no exemptions filed on the home, your initial taxes would double and may preclude you from buying that home. Another consideration is the upfront cost. 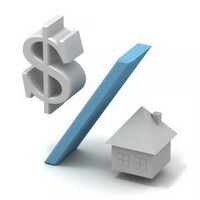 If you have less than 20% down on your home, your bank will most likely require you to escrow your taxes and insurance. Depending on when you close and how soon the next tax installment is due, you could easily have an additional 2-5 months of taxes included in your pre-paid total upfront. If the home does not have tax exemptions filed, this amount would double. Once you file your exemptions, your taxes will be reduced. If you file your exemptions by December 31st of the year you bought your home, your new tax rate (1%) will be effective by the following May installment. Taxes are paid semi-annually in Indiana in May and November. For more information about buying a home in Indianapolis, contact our team of Realtors. We have the knowledge to assist you in navigating the home buying process. The point about property taxes is a great one, many buyers don't realize the difference it can make on the HUD. Another issue we have in some areas where local bonds have increased the annual taxes above average for the county is dealing with the lender's cap on seller concessions. Certain properties that have unusually high taxes will mean the buyer has to bring more cash in to cover the additional reserves collected at closing, even if we've negotiated seller concessions to cover most of the closing costs.